Help us put an end to hunger here in Brockport! is to reduce hunger by providing food relief to eligible residents. This commitment includes helping applicants empower themselves through appropriate channels. All clients will be treated with respect & all donors and volunteers with appreciation..
began back in 1973 as an outreach ministry of the Church of the Nativity of the Blessed Virgin Mary to the migrant farm worker community. In response to expanded needs and demands, a board of directors was formed by community clergy and churches in the early 1990’s and the Food Shelf was organized as a community ecumenical agency. Today the Food Shelf offers food for nutritiously balanced meals to any household in our community that is food insecure. 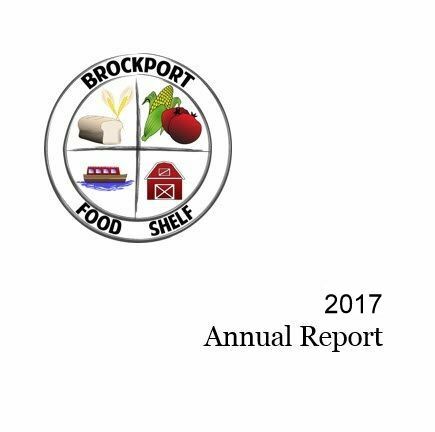 Through our Children's Programs which include the Backpack program in the Brockport Schools and Summer Extras, we work to ensure that no child goes hungry. The Food Shelf is supported by the churches, civic organizations, local businesses, school and college groups, and many individuals throughout the community.